Condition is good for a 30 year old amp. This is a U.S.A. built Blues Deluxe. DATE OF MANUFACTURE 03 1993. Tubes are JJ and curently the larger 2 are Sovitek. It has much more of that classic fender sound than it did. • UPC: 717669309985. • Color: Tweed. • Country Of Origin: MX. 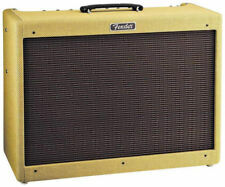 The concept: What if a great old collectable 1950s Deluxe or Bassman was customized with channel switching and reverb?. Its two channels, "normal" (with bright switch) and "drive," are voiced for classic blues, country and rock; other features include Fender spring reverb, an effects loop and two-button channel footswitch. 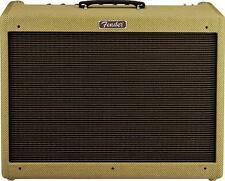 Fender Spring Reverb. 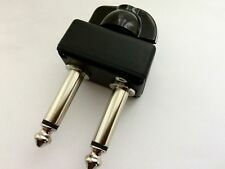 2-Button Footswitch for Drive Select and Reverb On/Off. 40-Watt Tube Amp. All-Tube Preamp and Power Amp. Tube Complement for Fender Blues Deluxe JJ/Tesla Brand includes: (1) T-6L6GC-JJ-MP (Apex Matched), which includes: (2) T-6L6GC-JJ (3) T-12AX7-S-JJ . Is the tone not what it used to be?. Starting to hum more than it used to?. Is your amp switching channels all by itself?. Reverb turning on and off?. Maybe you're blowing fuses. Learn how to solder and desolder by pulling and replacing a bunch of components until you get good at it. This cover fits the Hot Rod Deluxe, Hot Rod Deluxe III manufactured from 1998-present, as well as the Blues Deluxe amplifier. NEW - GENUINE FENDER VINYL AMP COVER. Other alphabets (Cyrillic, Japanese, Chinese, etc.) will not be translated and your item will be delayed. Logo is printed in white. The cover is black nylon with double stitched seams and a slot in the top for the amp's handle. Detailed instructions with photos for the Blues Deluxe Reissue amplifier. 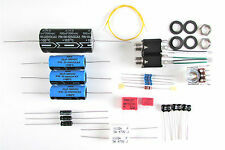 These kits upgrade your amplifier in unique ways and none of the parts are duplicated between the "Recap Kit" and "Complete Kit.". Six NEW!! Fender back panel screws for DeVille's, Deluxe's and Blues Junior's. Fender back panel screws specifically for Hot Rod DeVille, Hot Rod Deluxe, Blues DeVille, Blues Deluxe and Blues Junior amplifiers. These are truss head, 10/32 machine thread x 3/4" length stainless steel screws (washers not included). Compatibility: Champion 300, Champ® 110, Champion 30, Blues Deluxe™, M-80, Dual Showman® (86), Princeton® 65, Frontman™ 25R, FM 65R, X-25R, FM 210R. REAL SUPPORT. Authorized Dealer.